This is no longer the case, the bbPress and BuddyPress translation projects are no longer standalone translation projects, if the UI cannot facilitate an updated path for these two plugins they should be removed from the UI. There is nothing to update. 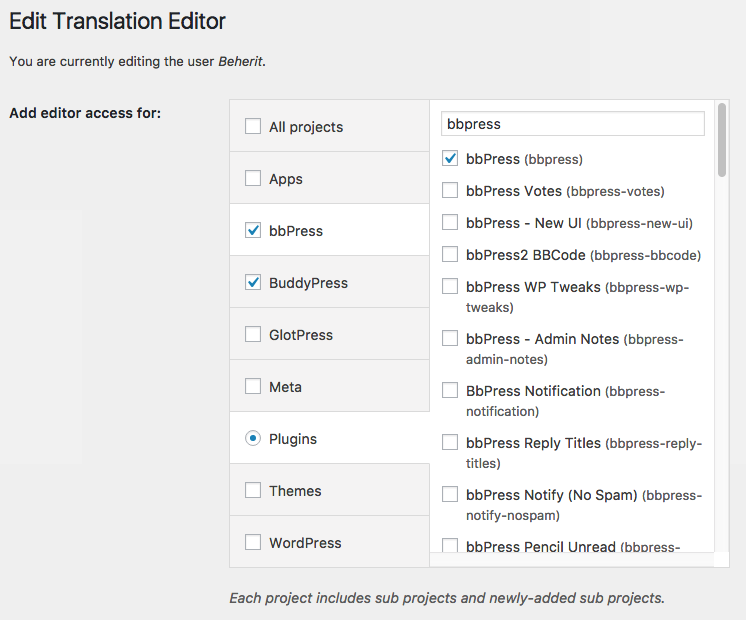 The top-level projects GlotPress, BuddyPress and bbPress still exist on translate.wordpress.org and for legacy reasons PTEs can still be assigned to one of the projects. For example bbPress 1.1.x is still used for the WordPress plugin directory.